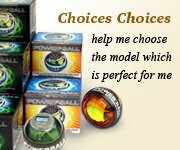 Below, we have included the feedback from some of the many NSD Powerball users around the globe. Each includes a tag line giving the history of that Powerballer and also their primary use for the NSD Powerball. Simply click either the image or headline for ach to read the full review. We re always looking for your feedback and stories, so please feel free to tell yours! Craig is a freelance drummer and Paiste artist who is rapidly becoming known as one of the best session drummers and clinicians in the UK. Craig is an NSD Powerball fanatic who never misses an opportunity to extoll the virtues of the splendid spheres wherever he plays. Maria Marklove is a university student who has been using an NSD Powerball for a relatively short period of time. She has suffered for some time with Carpal Tunnel and Repetitive Strain Injury and has not had any success with the traditional medical treatments. By using an NSD Powerball for just a few minutes each day she has seen some dramatic results and can once again enjoy both sporting and leisure activities. Al Napzok is a 56 year old who has been using an NSD Powerball for approx 5 months (at time of writing) and has seen first-hand the very real benefits of using it to increase his golf drive, and improve the strength required for his short game. As a sufferer of tendonitis, he has enjoyed a dramatic improvement in his condition which he attribues to the NSD Powerball.